Tbilisi State Medical University (TSMU) is a leading medical university in Tbilisi, Georgia. TSMU was founded as Tbilisi Medical Institute in 1918 and became the Faculty of Medicine within the Tbilisi State University (TSU) in 1930. 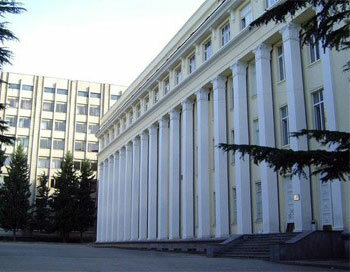 Tbilisi State Medical Institute was renamed Tbilisi State Medical University in 1992. Since then, the University has operated as an independent educational institution. TSMU became one of the high-ranking state-supported institutions of higher education in the whole Caucasus region. There are almost 5000 undergraduate and 203 postgraduate students at the University of whom 20% come from foreign countries. Tbilisi State Medical University has undergone Institutional Evaluation Programme, performed by Association of European. The student must be at least 18 years of age and must have passed 10+2 or equivalent qualification with at least 50 per cent marks in Physics, Biology and Chemistry as compulsory subjects. There are separate hostel facilities at TSU for boys and girls with food facilities, including Indian food. TSU has both electronic and physical libraries with immense collection of books and journals from all over the world. There is also photocopy, printing, and internet facility to accumulate the required hard copies for the curriculum of students. There are various leisure and group activities at TSU that students can participate in. There are excursions, festivals, clubs, groups, and sports activities that are to be enjoyed by one and all. The students are given practical training at hospitals from the very beginning of their courses in various clinics and affiliated government hospitals. This is a 6 years medical course conducted fully in English Medium. The degree is called MD- Doctor of Medicine / Medical Doctor, which is equivalent to Indian MBBS. This course is conducted for the past 99 years at our university. Indian students started to join since 2003 and now more than 1,200 Indians are studying. This course is directly controlled by the Ministry of Health and the Ministry of Education of Georgia. Eligible to work in Indian Hospitals (Government and Private), after passing screening test. Eligible to work in European Union countries, after passing language test. Eligible to work in USA, UK, Canada, Australia, etc after passing their licensing exams. This course is the best choice for students who plan to work in USA. This is a 6 years medical course conducted fully in English Medium at the campus of T.S.M.U, in partnership with EMORY University, Atlanta, USA. Most of the teaching professors are from Emory University. 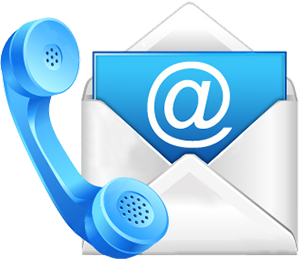 The Syllabus and Curriculum belongs to Emory University, Atlanta, USA. Students will be trained from first year to pass USMLE (United States Medical Licensing Exams). Students are allowed to appear USMLE exams from 3rd year itself. Students will be sent to Emory University for few months during every academic year. Can become Doctor and settle in the USA as a Doctor (after passing USMLE). Direct admission to PG Courses in World’s most prestigious university - EMORY UNIVERSITY.